Like many of you reading this, my Whippets story started with an innocuous facebook message from a guy called Matthew Wong. He had seen that I was unattached from the results of a race and asked if I fancied coming to a few training runs. 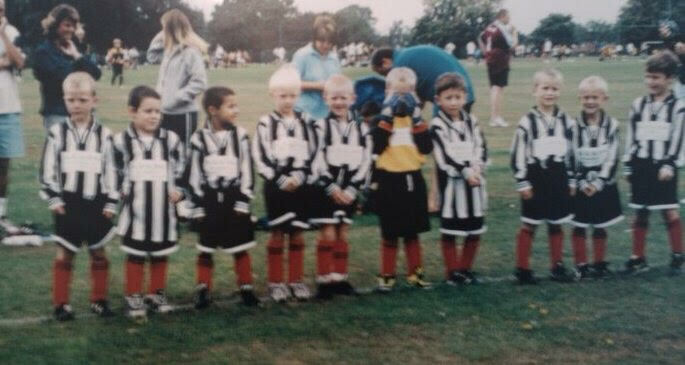 I had recently hung up my football boots and I felt that throwing myself head first into another sporting team was the best way to fill the football shaped hole in my life. Turns out, it was one of the best decisions I ever made. 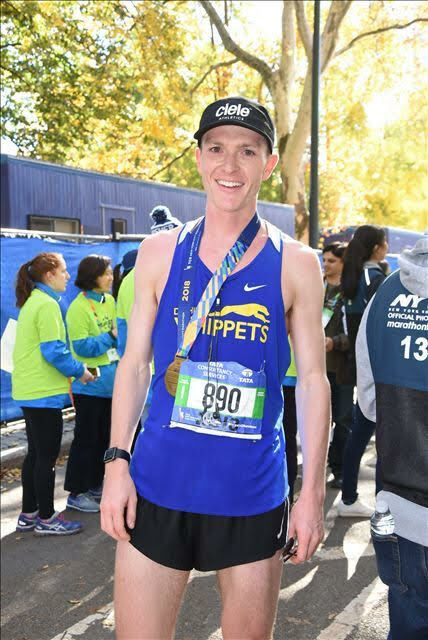 New York was to be my first marathon in a Whippets singlet and my third in 2018 since deciding to take this running thing a bit more seriously. For context, my first few followed a pattern like this: train for 3 months, get slightly chubby for the next 9, repeat. With this new attitude, I decided to write a list of all the things I needed to improve. This time around it was to increase my mileage, focus on track workouts and to treat my body better. Training with the Whippets allowed me to do the first two, the third I’m still working on. “What’s your goal for NYC that you tell people, and what’s the goal that you aren’t telling people?”. I realised in that moment I was going to push for 2.30, what’s stopping me? After my most disciplined block of training ever, I descended into a nervous wreck on race week. The pressure of the ambitious time coupled with the quality of my training to that point hit me hard and it only got worse on the morning of the race, as anyone who encountered me in the race village will attest to. All of my stuff was strewn across the floor, I had 3 different liquids in my hands at any one time and even had to walk across the entire village shoeless after dropping off my bag at bag check. Thankfully when the race started I was a lot more level headed. Kind of. 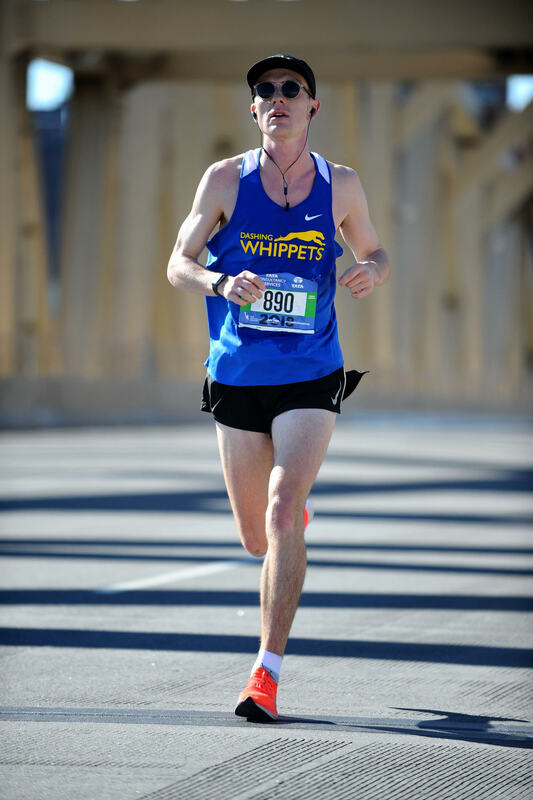 I started with the local competitive group on the much less glamorous underside of the Verrazano bridge where the views were not as scenic and the wind seemed harsher. I desperately tried to form a pacing group going for 2.30 but had no such luck. Once we had joined up with sub-elite group after a few miles, I realised I had gone off too conservatively and there were no pace groups of note. I had to go it alone, like all of my other previous marathon attempts. The only difference this time was the support from the countless Whippets cheering from the sidelines. I knew support for the team reached far and wide but hearing “Go Whippets” from what seemed like every spectator surpassed my expectations. The first half of the race was a complete blur and I went through 13.1 at 1.15.05, right on plan. As I descended the Pulaski, Coach 40’s wisdom came to the forefront of my mind – “this is where the work begins”. After snaking through Queens and battling up the Queensboro bridge, I decided to let loose going up First avenue recording my fastest miles of the day and having a great time doing it. However, this success would be short-lived as both my hamstrings had a meeting in Spanish Harlem and decided in unison that they wanted ‘No Mas’. A video of a bear cub being separated from its mother and having to climb up a mountain side to be reunited with her. I had watched it on the Staten Island ferry that morning. With this in mind, I adjusted my stride to stop my legs from cramping up so I more resembled a race walker rather than a marathon runner. As a result my pace dropped and it went down further with the intermittent stops to stretch my legs out. It was then that I did what every runner does in those last few miles – started the mental maths to calculate my finish time. I definitely did not let myself think about dropping out, not once. Ok, maybe a couple of times. After another few miles and even more soul-searching, I was deep in the pain cave and couldn’t see the light at the end of tunnel. I knew 2.30 was out the window and had to focus on my next goal – actually finishing the race. It was at this point that the meticulous planning of my Spotify playlist paid dividends and the sultry tones of Kate Bush came through my headphones. Listening to the 80’s classic ‘Running Up That Hill’ made the 5th Avenue incline pass quickly but the most important motivation came in the form of the one, the only – Matan Korrub. As I approached the crest of the hill, I could see a man quite literally foaming at the mouth, screaming and fist pumping like his life depended on it. If I was going to finish this strong for anyone, it was this man. With the image of Matan scarred in my mind, I maintained that pace through the rolling hills of the park trying to look in less pain for all of the incredible people that came out to watch. It was at the ‘800m to go’ sign that I let myself think about finishing. I’m not the first and I certainly won’t be the last person to have a little cry when seeing those words. 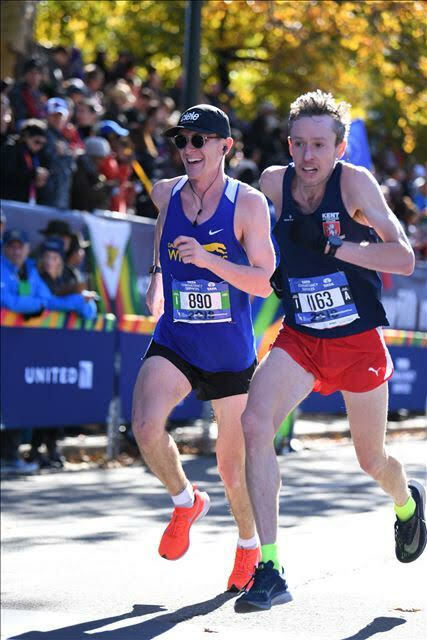 As I fought back the tears, my hamstrings released their vice-like grip and I was even able to sprint home finishing in 2.31.29. A 12 minute PR. 78th overall. I held it together for the official photos but got a little bit more emotional as I began the seemingly endless walk out of the park. It was during this time I was able to reflect and at first I was a little disappointed my legs betrayed me but as the result sunk in, I was able to appreciate not only the hole I dug myself out of but also the progress I had made since joining the team after receiving so much valuable support and coaching. Anyway, there’s always next year as it’s all part of the process. 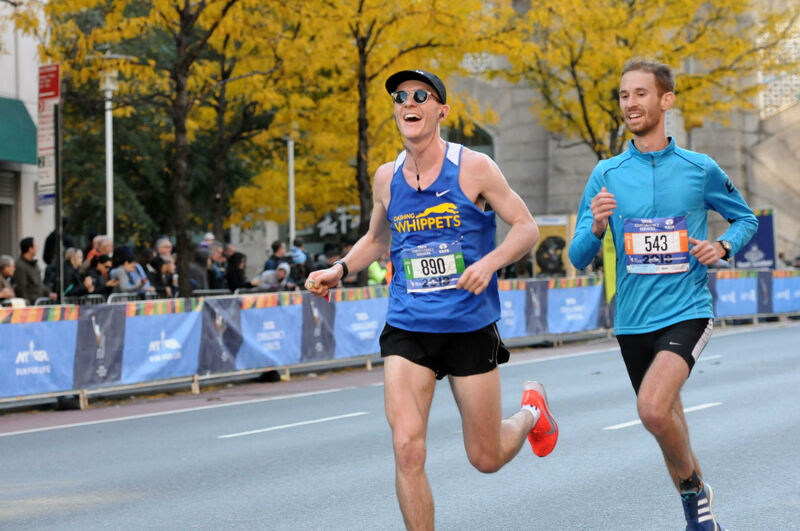 A process which I’ve fallen in love with since becoming a part of the New York running community – the most genuine, kind and supportive group of people I’ve ever had the privilege of meeting. Jennie is a member of the Dashing Whippets.